8GB Cruzer Blade USB Flash Drive As Small As a Paper Clip and Light As a Feather This portable, caplets USB flash drive is so compact and light, you might not even feel it in your pocket. Share Your Music, Photos and Videos Anytime, Anywhere Cruzer Blade USB Flash Drive allows you to take your favorite files with you wherever you go. And with capacities up to 32GB,it can hold a lot more than you think! Simply store your pictures, music and other fun files onto the sleek Cruzer Blade USB Flash Drive and start sharing with your family, friends, and co-workers. 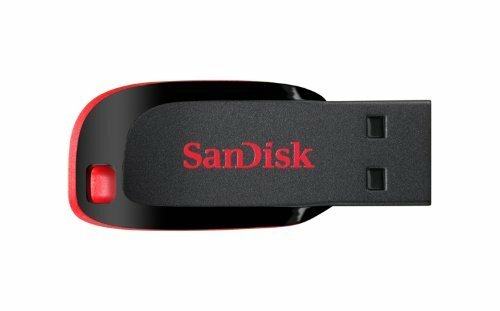 Keeps Your Files Private You can also protect your personal files from unauthorized access with the built-in SanDisk Secure Access software. And enjoy the added protection of secure online backup (up to 2GB optionally available) offered by YuuWaa When Your Files Matter, You Can Trust SanDisk SanDisk is the only USB flash drive manufacturer to offer a complete memory solution of data storage, password-protection, encryption, and online backup security for all of its current models.